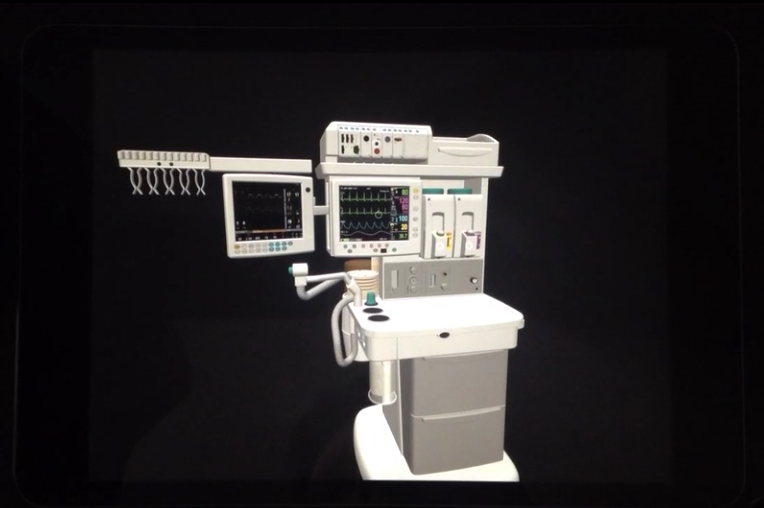 This interactive 3D example features a detailed model of a large hospital anesthesia machine. The user can touch and drag to rotate the model as well as zoom with a pinch gesture. Multiple points on the model are identified as “hotspots” (blinking circles). 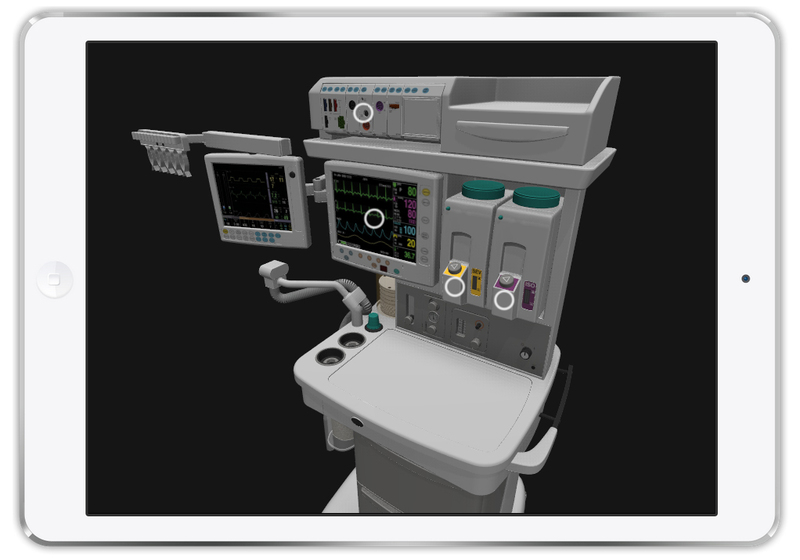 The user can tap any of these to fly in to model and see that area in greater detail. At a few of the hotspots, additional information is overlaid onto the model (e.g., labels for the monitor readouts and rotating molecules when the user taps one of the two anesthetic compounds). 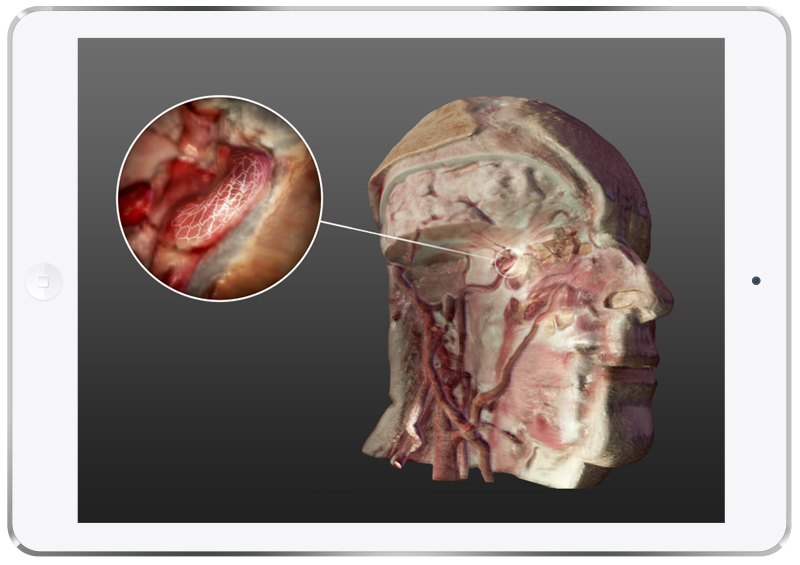 Any physical medical product can be demonstrated with this approach and there is a wide variety of visual information that can be overlaid onto the model, including: labels, photos, video, text, or additional interactive 3D content. Products with moving parts can be represented as dynamic virtual models. For devices that are implanted in the body, we specialize in the integration of product models with real human anatomy. Watch the video below for footage of the iPad version of this app or click the “Launch interactive demo” button to try the demo. Note: If you are using the Chrome browser on Windows, you may need to refresh the demo page a few times.